A great business opportunity and great bread! 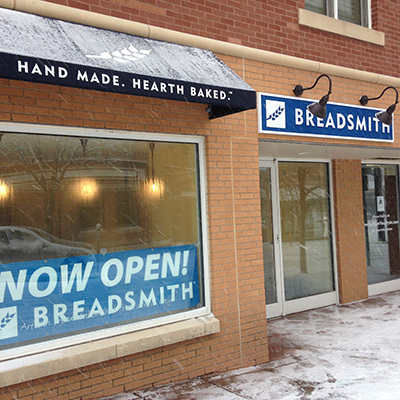 If you have a passion for baking fresh, made-from-scratch artisan breads while actively serving your community, it’s time to learn more about opening your own neighborhood Breadsmith. 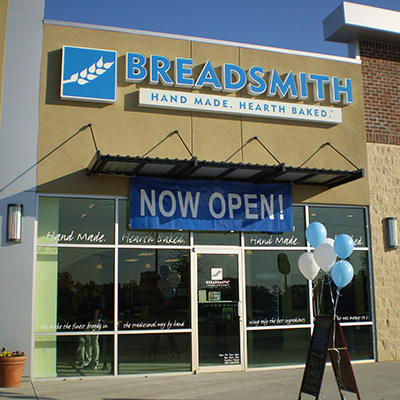 Take a look at why franchising with Breadsmith is a great business opportunity and learn more about our requirements for getting started. Better yet, tell us more about yourself by completing our contact form. 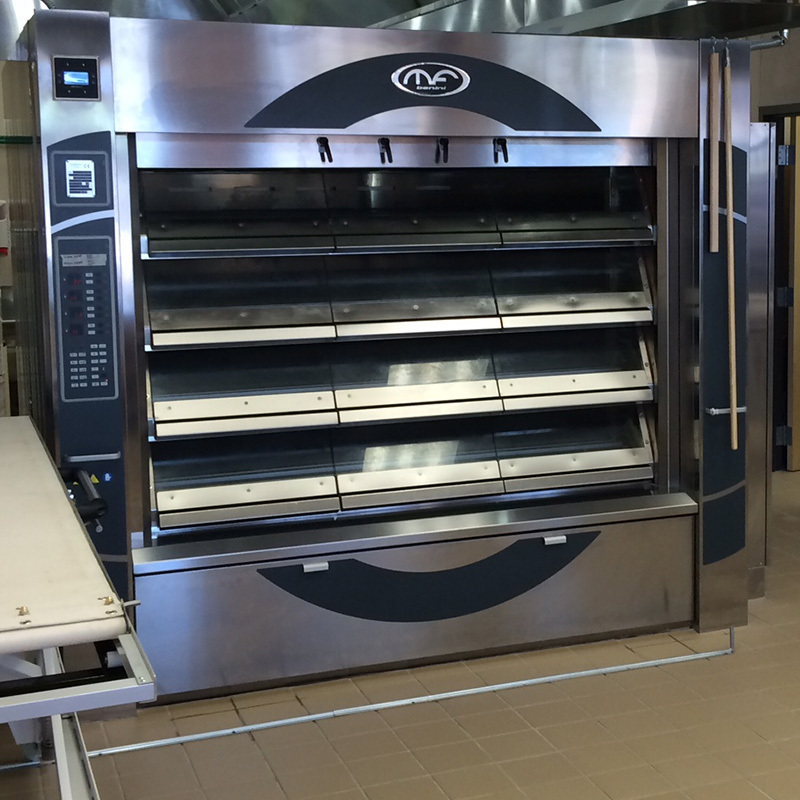 Our visually appealing bakeries are designed to please our guests and maximize your retail sales opportunities. 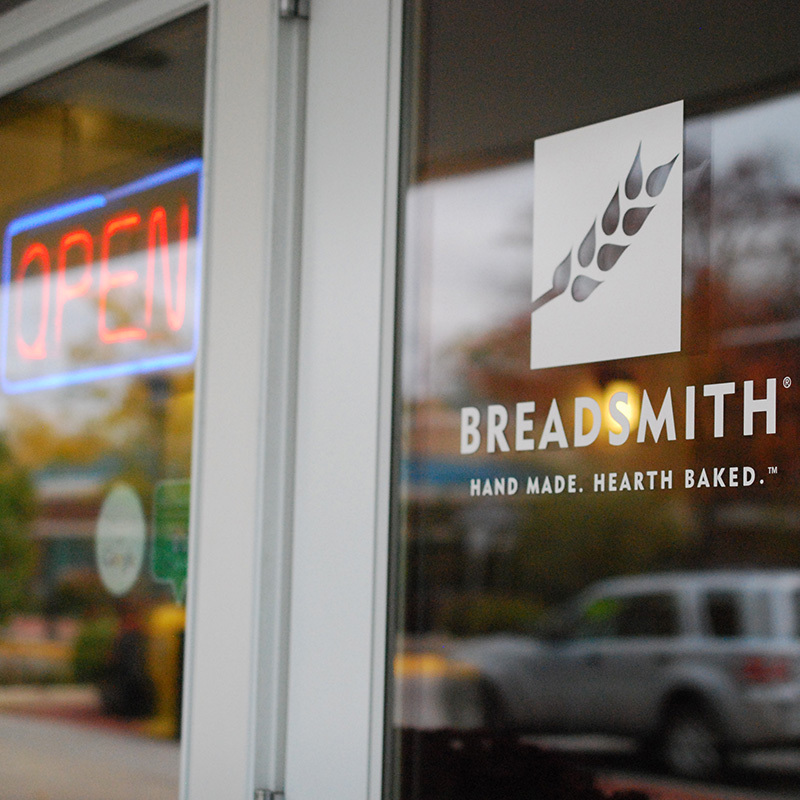 We’re excited to tell you more about franchising with Breadsmith. Here are some fast facts to get started. 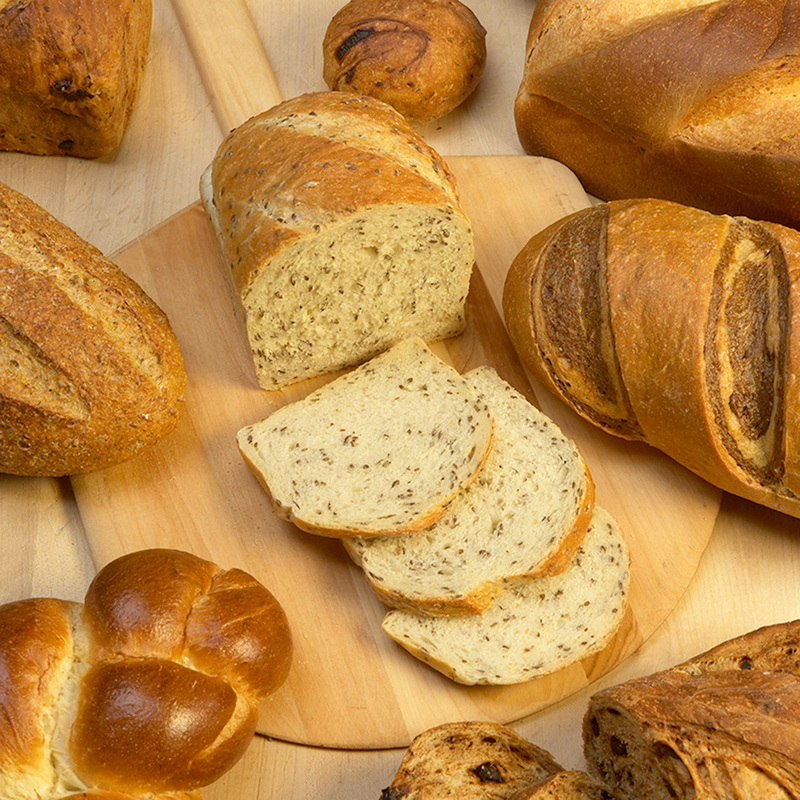 Our bakery owners can select from more than 300 product recipes when determining their locally customized menus. 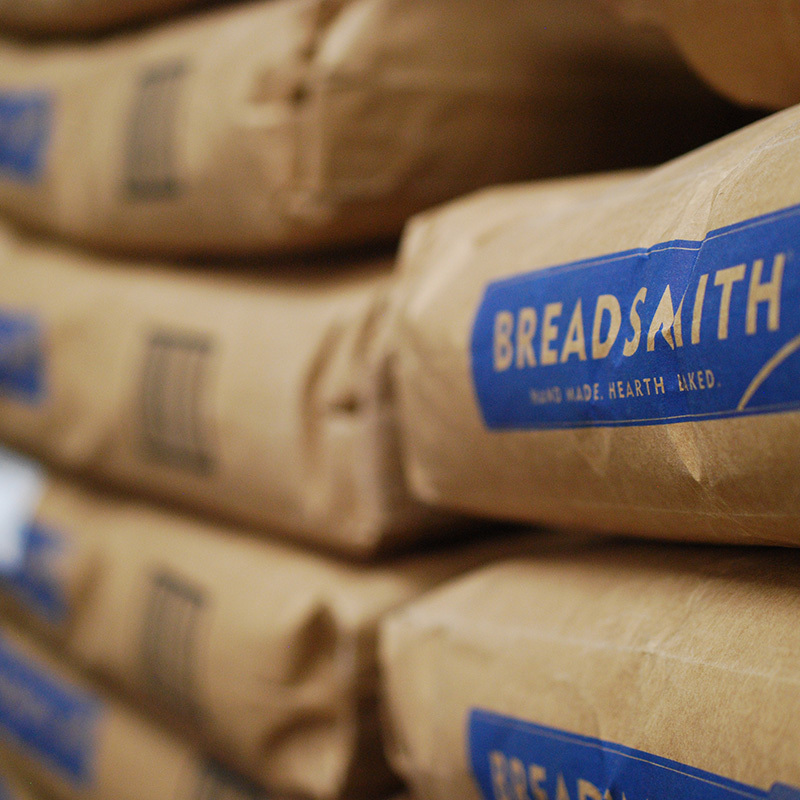 Each year our bakeries use nearly 9 million pounds of our specially-milled flour. 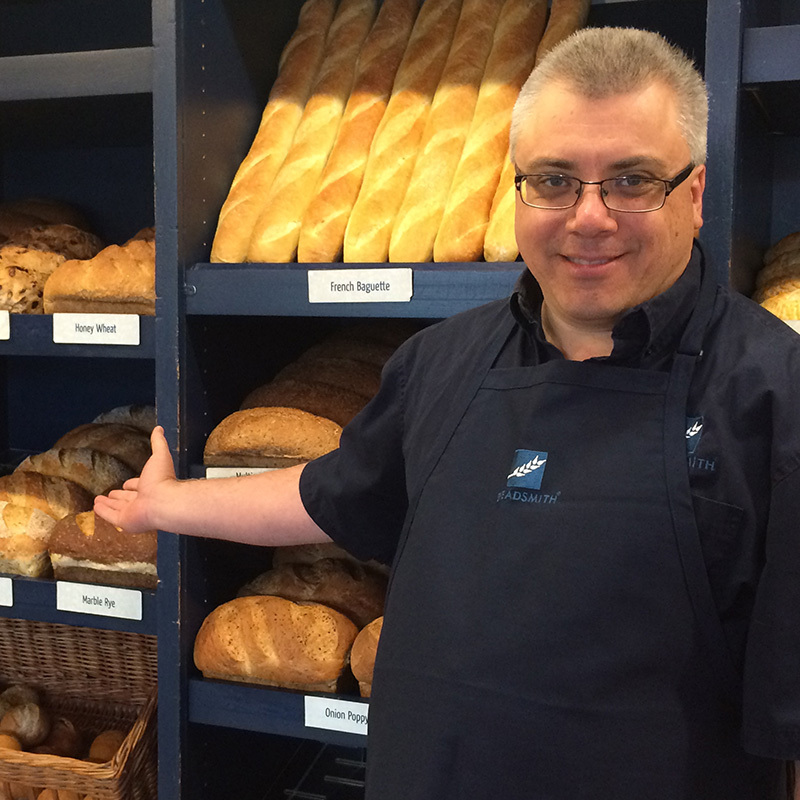 We bake each of our artisan breads and sweets in a 5.4 ton European hearth stone oven. 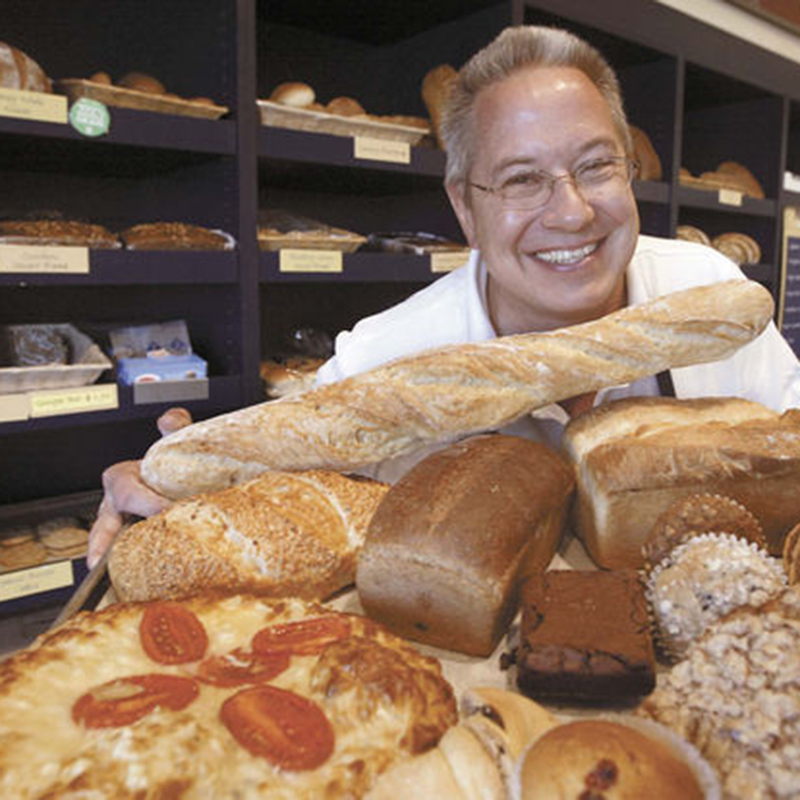 We have been franchising bakeries since 1994 and our bakeries can be found in 16 states. 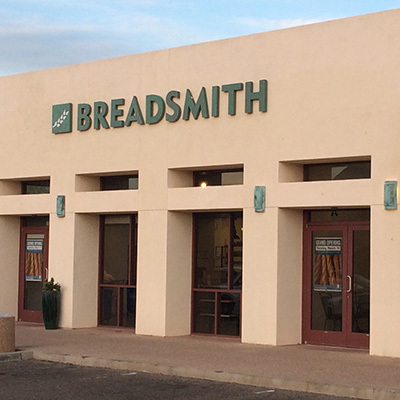 Nearly three dozen Breadsmith bakeries operate throughout the nation, each meeting the distinct needs of the local communities they serve. 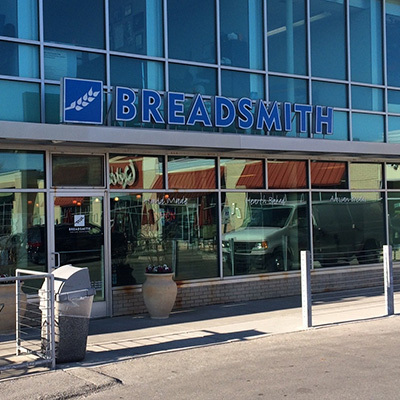 New Breadsmith franchises pay royalties on a sliding scale – 7% in year 1, 6% in year 2, and 5% in year 3 and beyond. 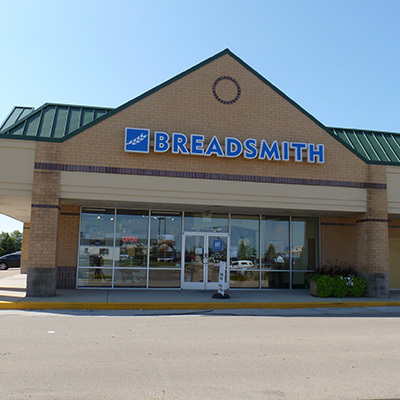 Helping your Breadsmith franchise succeed. Our experienced team is ready to guide you through each step of the franchising process. 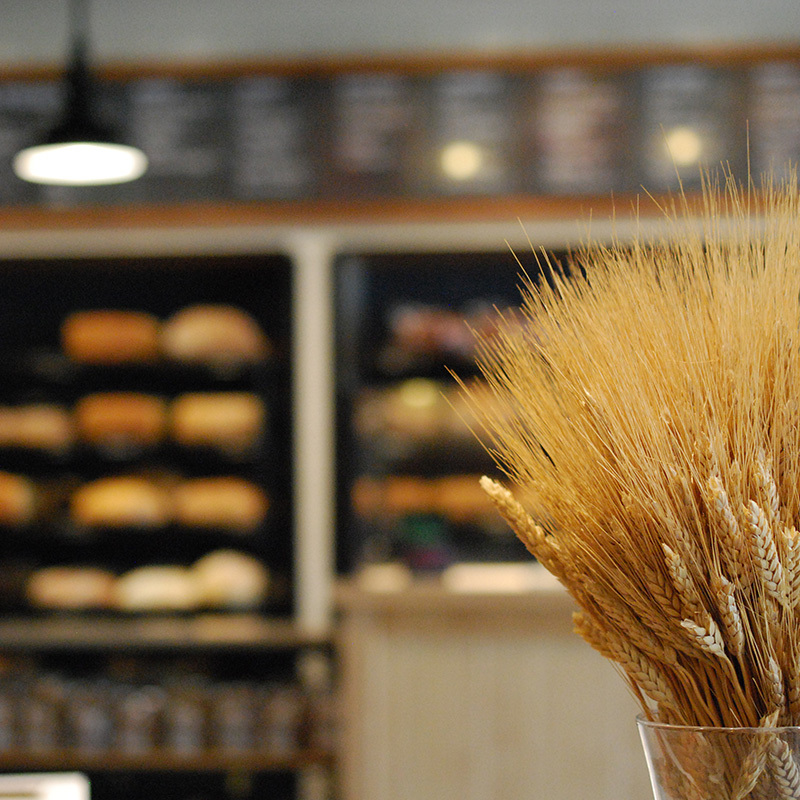 Before we celebrate the opening of your new neighborhood bakery, however, there are a few important first steps to take. We encourage you to read the following information and contact us with any questions you might have. 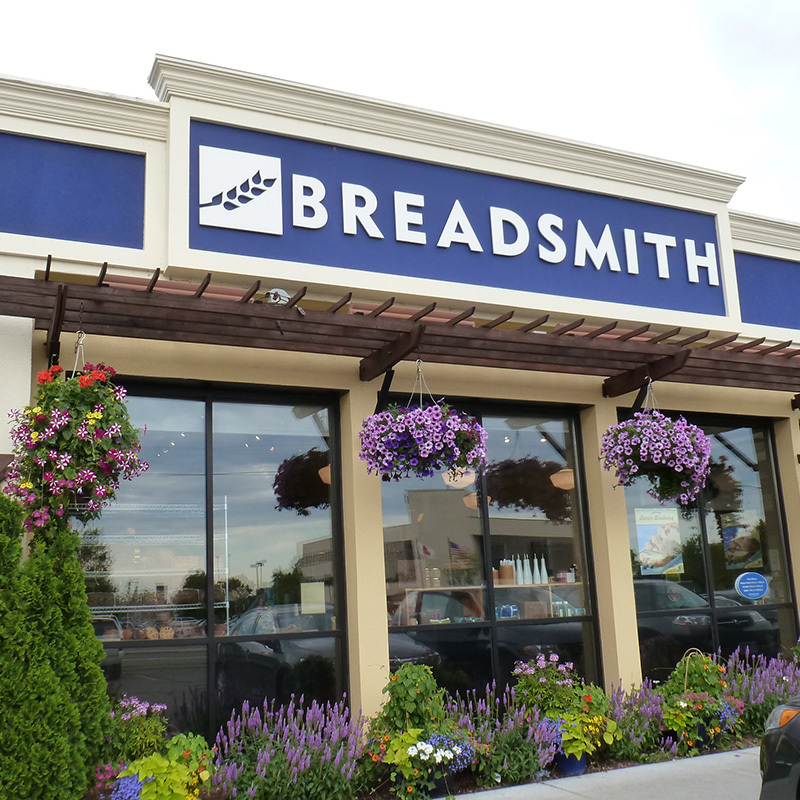 Fall in love with Breadsmith! Complete our no fee, no obligation pre-qualifying application. We’ll determine whether the area you are interested in is available and if you meet our basic financial criteria. Talk with one of our team members and receive a copy of our Franchise Disclosure Document (FDD). 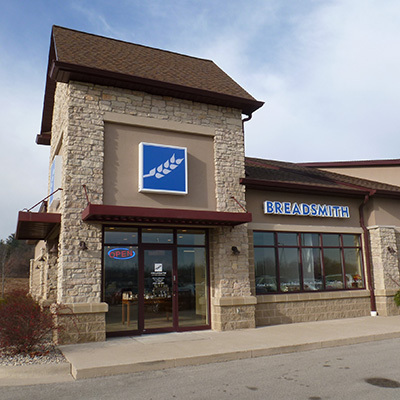 Complete the next steps in the approval process and explore a partnership with Breadsmith! There are a lot of factors to consider when deciding to open or purchase a franchised business. We encourage you to learn more about this complex investment by reviewing “A Consumer Guide to Buying a Franchise” from the Federal Trade Commission.